This entry was posted on September 23, 2015 by Texas Safety Supply. Are their Ozone Fumes from the Contaminant? Then simply consult The Moldex Decision Guide For selecting a breathing respirator that is correct for your welding operation. The following are some of the suggested respirators based upon your circumstance that you determine through the use of the Moldex decision guide for selecting a respirator. The Moldex 2310N99 Respirator is to be used when no oils are present while welding operations are taking place. 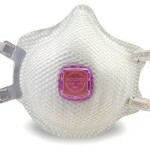 N99 Protection filters out 99% of contaminants when properly used. The Moldex 2310N99 welding respirator Meets heat and Flame resistance requirements in accordance with ANSI110-2003. The Exhalation valve makes breathing easier when performing welding operations. 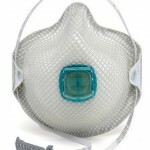 Moldex respirators are made of Dura Mesh which helps them to remain firm and not collapse in warm conditions. 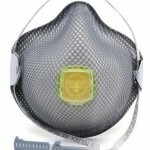 Again, Moldex 2700N95 respirators for your breathing protection comes standard with the strong dura mesh shell to withstand hot & humid conditions. Tough, sturdy face straps that wont break like some flimsy lesser quality respirators. Soft inner shell that wont bother or irritate the face. The Moldex 2700 N95 Welding Respirator offers N95 protection meaning that it will filter out 95% of Non oil based contaminants when properly used. The Moldex 2700N95 respirator is a good choice for dirty conditions with sweeping and bagging as well as sanding and grinding operations in the workplace. The Moldex 2740R95 Respirator can be used in scenarios where 95% of Oil and Non Oil Based Particulates are present in Levels up to 10x PEL. R95 Respirators must be used when oils are present. The Moldex 2740R95 welding respirator comes with a cloth strap which makes it a bit easier when the respirator is hanging around the users neck. The Ventex Valve on the 2700 allows for easier exhalation of air to make the user more comfortable. Again, cool and soft on the inside. The Moldex 2740R95 is NIOSH certified under 42CFR84. The Moldex 2840R95 is NIOSH certified to protect against 95% of Oil and Non Oil based particulates. The added carbon layer on the valve helps to reduce nuisance levels of ozone and organic vapors. R95 Rated respirators are designed to filter 95% of the contaminants that they are designed to protect against. The 2840R95 is a good choice for welding, grinding and sanding operations. Also against vapors from concrete and cement, printing, painting, using varnish, food processing and waste processing. The 2840R95 welding respirator has the same quality built in with the Duramesh shell and cool inner lining. The Moldex 2360P100 Respirator is a P100 Respirator meaning that it is 99.97% efficient against Oil and Non Oil Based Particulates. The Moldex 2360 P100 Welding Respirator is an option when OSHA Substance standard specific applies ( Lead, Cadmum, Arsenic, MDA ) as well as pharmaceutical manufacturing. P100 respirators are designed to filter 99.97% of oil and non oil based particulates that they are designed to protect against. Ventex Valve allows hot air to escape at a faster rate than other p100 masks and Moldex Respirator Masks are truly designed with comfort in mind by the user with the soft lining and face cushion. 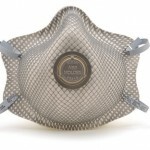 The Moldex 2730N100 is designed to protect against Non Oil based particulates with 99.97% efficiency. Again the "N" Notation signifies the user that this Respirator is for use against Non Oil based particulates. 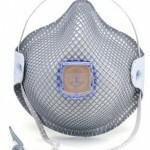 A comfortable Mask, with a Valve that allows the user ti breath easy. The Moldex 2730N100 welding respirator is for use as a welding respirator, when Oils are not Present.